Kevin grew up in Lake Oswego, Oregon, graduating from Lakeridge High School and went on to graduate from Bowdoin College in Brunswick, Maine with a degree in Political Science. After college, he moved back to the Northwest to work in management for Nordstrom. While employed there, he bought his first home and caught the real estate bug. The love of negotiating a deal, an appreciation for the tangible nature of real estate, and the opportunities that existed in the region led him to pursue a full-time real estate career in 1991. 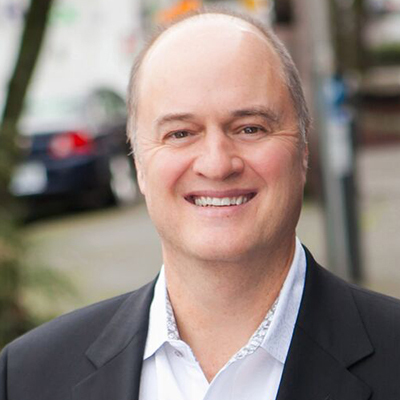 Kevin formed a real estate investment firm focused on buying, rehabbing, selling, and holding numerous homes and apartment buildings on the Eastside and in Seattle that continues today. With investment success and a passion for real estate, Kevin set out to help others realize the benefits of real estate. After receiving his Broker’s license, Kevin joined a local commercial firm and spent the next few years focused on helping investors buy, sell, and manage apartment buildings. In 1998, Kevin launched his apartment-finding service, Apartment Insider, under his real estate brokerage Northwest Property Group. The service targeted corporations searching for housing for their newly hired employees, as well as time-pressed renters needing someone do the legwork for them. This service thrives today and is the market leader under our division, Seattle Rental Group. In May 2002, with help from a very talented team, Kevin rolled out SeattleRentals.com, a marketplace for local renters and landlords to get paired up online. This company is one of the only local online rental marketplaces that exist in the country today. Soon after the launch of SeattleRentals.com, a focus was placed on expanding the residential leasing service under Seattle Rental Group. By providing an unmatched customer experience and services tailored to the need of the client, Seattle Rental Group quickly grew to become, and still remains, the top residential leasing service in the region. In 2010, with the residential market recovering from the recession focus shifted to bringing together the strength of our rental services with the extensive real estate brokerage expertise accumulated over the years. Northwest Property Group was renamed to reflect the convergence of our three divisions–rental finding and relocation, leasing and management, and residential brokerage–and thus the birth of Pointe3 Real Estate…a company whose divisions synergize to create a unique and vertically integrated real estate firm. When away from the office Kevin enjoys helping others, spending time with family and friends, traveling, golfing, skiing, off-road motorcycling, music and collecting vintage vinyl records.